An interview with Canon executives was done in Japan by MyNavi and covered a wide range of topics in regards to the brand new Canon EOS R system. During the launch event, it was reported that the Canon EOS R sensor was the same as the EOS 5D Mark IV’s sensor, but apparently, that’s not the case. Canon feels that the Canon EOS R is an EOS 5D Mark IV level camera. EOS R, is it positively an EOS 5D class camera? Digital lens optimizer now happens in real time, as the information comes directly from the lens. Canon didn’t put IBIS in the body this round due to concerns about size, heat and cost, but may look to add it to future Canon EOS R bodies. Expect to see lower and higher end Canon EOS R camera bodies in the future. There are a few and likely much smaller f/2.8L zoom lenses coming in the near future. A cinema EOS R body is possible in the future and could shoot 8K, but there are a lot of technical issues to still be sorted out going to 8K. 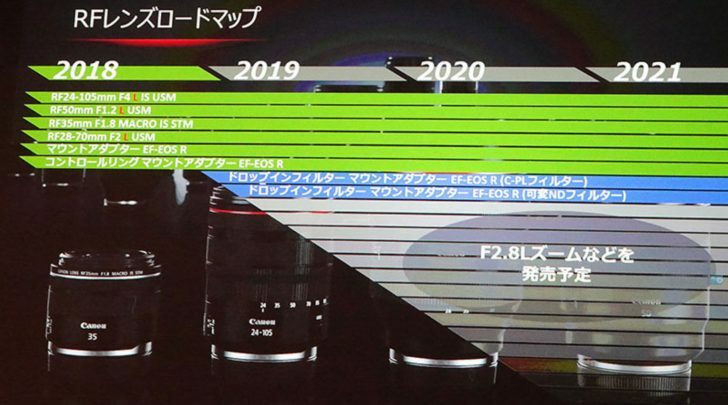 This indicates that the next two lenses canon will release will in 2019 and will be EF, not RF. Is that from translating the text? Digital lens optimiser is for jpeg and not RAW. So, if that's the biggest difference, then it is not a step up for me. My mistake, what I get for trying to view this on my iPhone. The two blue bars are the upgraded versions of the adapter, not new lenses as I initially thought. I was surprised to see a Canon lens roadmap, but this one has zero new information, which restores my faith in Canon's silence about future releases. It's from the graphic, which lists the four RF lenses announced, as well as two other concurrently announce lenses which are presumably the 400 and 600 III and have the EF–EOS R (adapter) notation appended. That same notation is applied to the two lenses slated for release in 2019 (top two blue bars). I thought the 2 EF–EOS R (adapter) notation for 2018 are the two adapters being released right now (normal and with control ring) and the EF–EOS R (adapter) notation for 2019 are the adapters with cpl and nd filters. It's made to a market segment which I'm not in and neither are you it would seem? Is that cameras moving, or customers moving? I suspect the intent is to show the latter. This really seems out of place to me. The portion where they mention that the EOS R is a 5D IV level camera doesn't fit in my mind. The 5D IV seems like the superior camera to me, and there's a considerable price differential between then. The EOS R seems more like a ramped up 6D II in my mind. Maybe that's splitting hairs to be fair. I like that they're planning on building higher and lower level models, and the fact that they specifically mention high resolution bodies is encouraging for a 5D SR equivalent body. But if the EOS R is a 5D IV level camera, will the 5DSR equivalent just be an EOS R with a different sensor? I guess we'll find out. Correct, I was evidently editing my post as you were typing a reply. Am I counting that correctly? Is this graph suggesting 8 new lenses in 2019? I think they are just saying they have a family of f2.8 lenses in the pipeline without saying too much on detail. They have the headline grabbing f2 lenses to get peoples' attention and now they will be looking after the bread-and-butter pros. From what I remember of the Z6/Z7 announcement this eclipses Nikon's planned release schedule. That is how I am looking at it. That makes it very tempting! 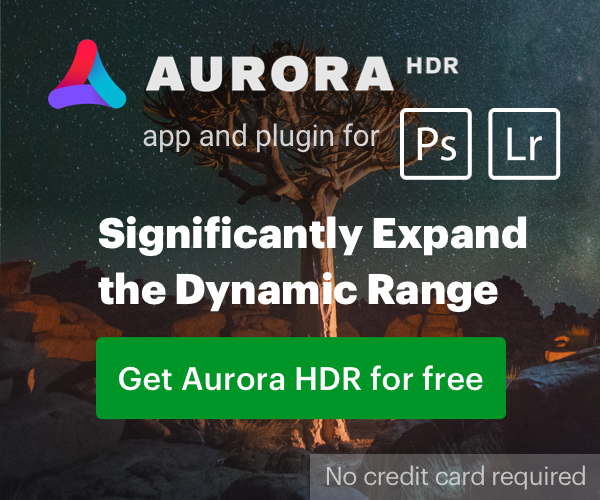 If it’s a new sensor why isn’t it 150MP 32-bit global shutter capable of far IR and gamma-ray imaging? You see the problem with your argument? You and your kin seem to share the misguided idea that engineering iterations can always be cleanly divided into ”tweaks” and ”new products”. It doesn’t work like that in reality. The R does have an electronic shutter, btw. I read that this is the first R model and other models will fill out the line in the fullness of time. Stating that this is a 5 D level camera is marketing speak and can be spun in either direction. It's also used in video. And I bet it's being used in live view/EVF as well.